A few weeks ago, the 100th anniversary of the maiden voyage of the Titanic was celebrated, and apparently that hoopla gave Australian billionaire Clive Palmer an idea. A tourism magnate who developed Australia’s Gold Coast into the destination in that country, Palmer seems to have a great sense about what people want, and according to Palmer, what people want is the Titanic. That’s right, the long-sunk luxury liner. 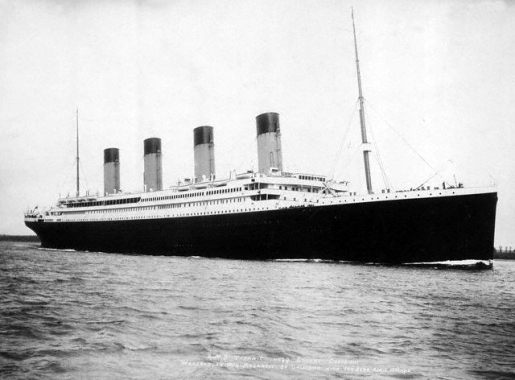 Clive Palmer is planning on rebuilding the Titanic, dubbing it Titanic II, and sailing it from England to New York and back again. The actual technical details on the Titanic II have yet to be released, but Palmer has lined up a builder and founded a new company, Blue Star Line Pty. Ltd., to run the cruise venture. The ship will be built by CSC Jinling Shipyard, a Chinese state-owned shipyard. Titanic II will be a bit smaller than modern ships, holding only about 1680 people, but it would definitely be the most luxurious ship on the sea. James Cameron, eat your heart out!